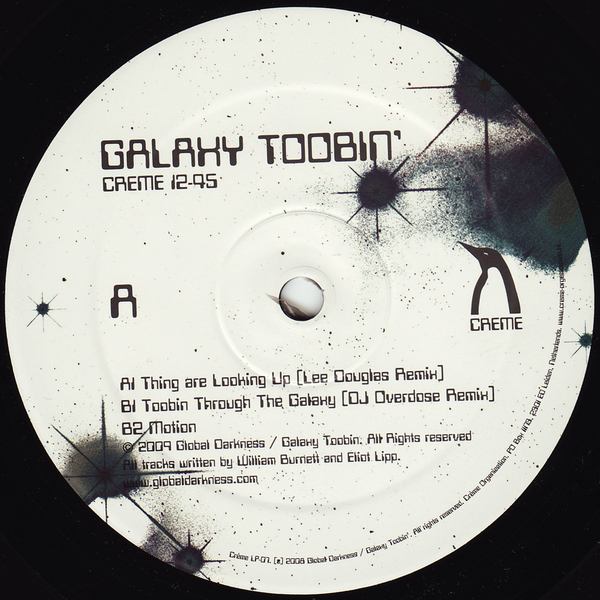 Ellito Lipp and William Thomas Burnett's (aka Grackle) Galaxy Toobin' Gang picks up extra personnel in the form of Lee Douglas and DJ Overdose for some remix boosts to keep the mission going. Rong Music's Lee Douglas takes an optimistic vector with his mix of 'Things Are Looking Up' offering a gay NY space-disco vibe, while DJ Overdose provides an intergalactic electro gangsta version of 'Through The Galaxy' and the Gang's own 'Motion' grooves on a dramatic electro trippin' rhythm spilling over with vintage analogue synthlines. Cool.